There was a time in New England when it seemed there was always a local ski hill right around the corner. When I was a kid we skied a couple of times at Spicket Hill in Salem, NH. I don’t remember much about it except it was very small and it had a rope tow. Boy, that thing would do a number on your gloves. There was also pretty much a shack that doubled as the lodge at the bottom of the hill. We also had Methuen Hill over by the Methuen, MA-Pelham, NH line. It was a much shorter but steeper hill with a t-bar tow and a little bunny hill off to the side with a rope tow. I believe it was lighted so you could ski at night. 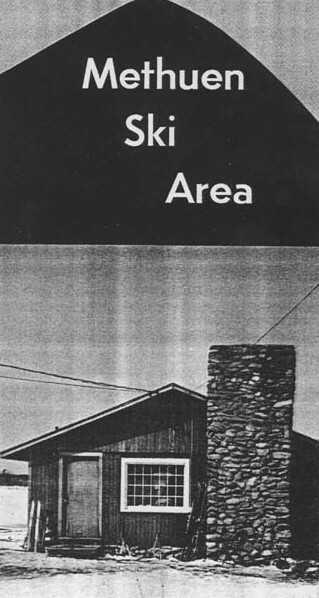 Another I remember, but never skied at, was Landry’s in Windham. Coincidently, I happened to move to Windham many years later and came upon the rope tow building at the top of the old hill while mountain biking. My guess is that these, along with all of the others, eventually shut down because of the cost of insurance, inconsistent snow from year to year and the value of the real estate. Still, they were an interesting part of New England History. Chime-in and let us know your memories of these and the many other small hills that dotted New England all those years ago. Also we would love to get your photos to add. And if you’re seeking info about other slopes, there’s a very interesting and extensive list of lost New England ski areas at NELSAP.